Finally made all 10 Paper & Wood hummingbird sculptures! I have just completed cutting and gluing all of the paper feathers for my latest large piece, 'The Hummingbird tree'. All 10 species below have been hand carved out of wood before each and every feather has been cut out and feathered with my trusty pair of scissors, (you can see them in one of the pics below). This little guy will be a Violet crowned woodnymph once painted. Some iridescent blue paint will make this one into a violet crowned hummingbird. 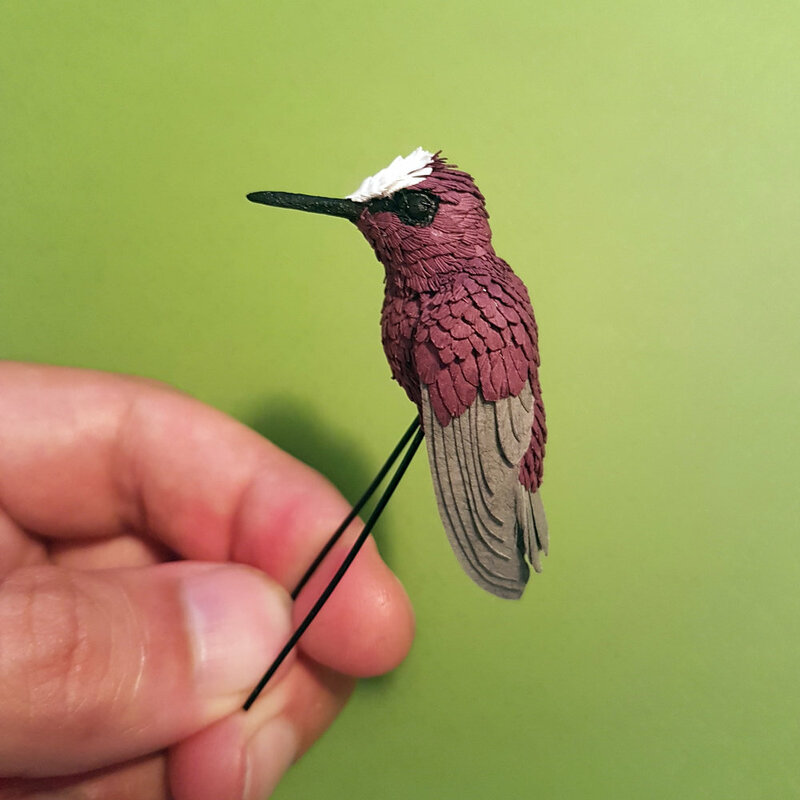 Tiny Ruby Topaz hummingbird sculpture. The beautiful Violet ear hummingbird. 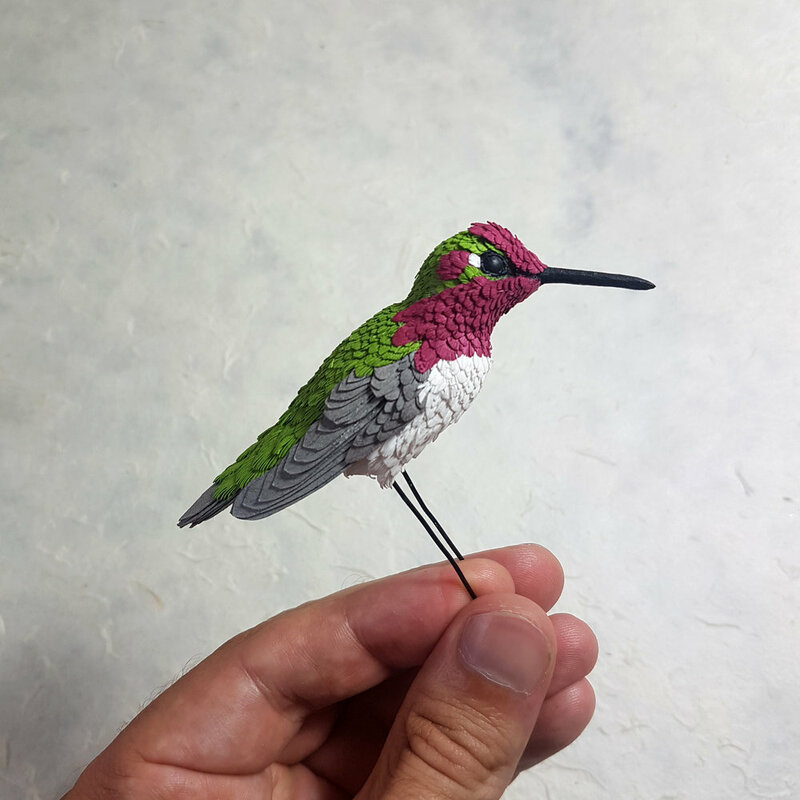 The stunning Anna's hummingbird here, can't wait to add all the iridescent paints to this one. Beautiful bright paints will make this guy a velvet purple coronet. Lovely bright orange paper for this little Rufous Hummingbird sculpture. Violet Sabre wing, one of the largest species of Hummingbird. One of the smallest species of hummingbird is this one, The Snow capped. Las but not least, The White necked Jacobin. 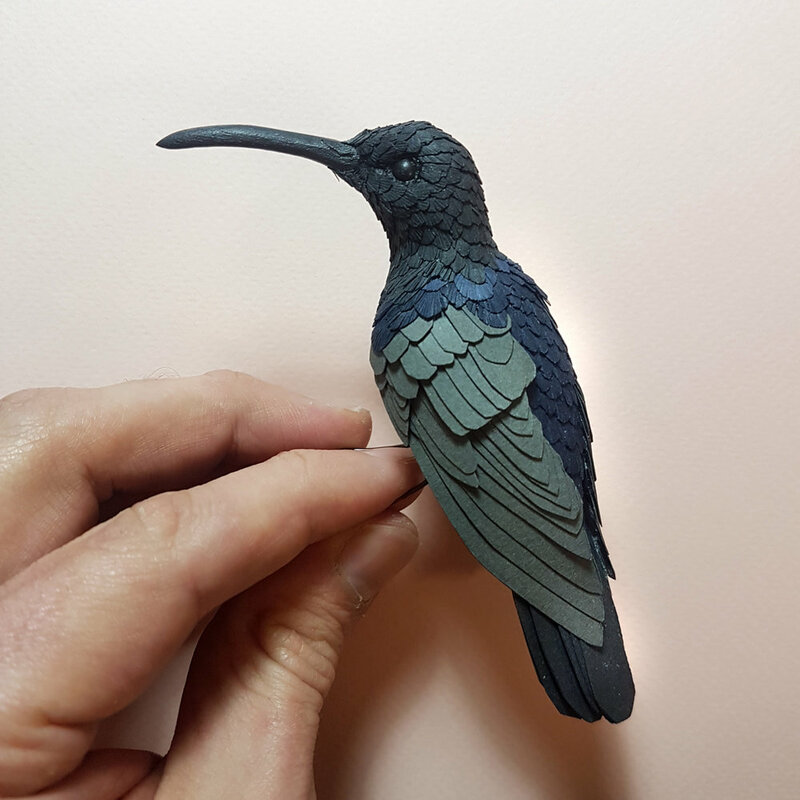 The next step for all of these little hummingbird sculptures is to paint them in lovely bright acrylic paints and attempt to make them look life-like. I do use some lovely iridescent acrylic paints for a lovely shimmer to the feathers just like real hummingbirds have. To achieve this I use Pebeo Studio acrylics, High viscosity paints, they come in some awesome colours and really do add a another level to the paper feathers. Keep an eye out for them being painted on my instagram, I will be doing some videos of work in progress as well as some mini tutorials on my processes too. See you there guys!